With only the final weekend of competition remaining at the 2016 VISSLA ISA World Junior Surfing Championship, Team Australia maintained the lead that they had gained on Thursday. With six of their eight male competitors and all four of their female competitors still in the competition, they hold a slight lead ahead of second place France. The makeup of the ISA Aloha Cup Final was decided as Team Costa Rica, Japan, Hawaii and France advanced through the Semifinals in the afternoon. The Final on Saturday will award the first medals of the competition and of the Olympic Surfing era. One of the ISA’s signature events, the Aloha Cup is a tag-team style competition featuring four boys and one girl from each team. Each athlete rides a total of two waves during the hour long heat, where the waves from all five team members are summed to get the total team score. Boys U-16, Girls U-18 and Girls U-16 took to the water on Friday, setting the stage for the penultimate day of competition on Saturday. While the swell has significantly decreased in size, there was still plenty of waves on offer for the world’s best junior surfers to display their talent at Praia do Monte Verde. In Round 4 of Boys U-16, Samuel Pupo (BRA) put on the most radical display of progressive surfing that the event had seen thus far, landing multiple full rotation aerials. Pupo earned a nearly perfect 9.87 backed up by an excellent 9.17. Despite having the two highest wave scores of the event, the Brazilian made a costly error by committing a paddling interference on France’s Marco Mignot. His second highest scoring wave was nullified, which pushed him down to third and eliminated him from the competition. After Pupo’s interference, Malakai Martinez’s (CRC) score of 12.70, the highest of the round, placed him in first followed by France’s Marco Mignot (11.30) in second. Meanwhile on Podium 2, USA’s Caroline Marks earned a total of 17.84, the second highest female heat total of the competition and the highest total of the day for any competitor. Summer Macedo (HAW), the 2015 U-16 Girls Gold Medalist, continued on her path towards a second consecutive Gold Medal and took first place in her Round 3 heat with a score of 10.73. “The waves have been changing a lot. The past few days we had lay days for the girls and we got our chance today. The waves are smaller, but really fun. The U-18 Girls completed the day of individual competition, advancing on to the Quarter Finals. Costa Rica, Spain, USA, Japan, Tahiti and France all advanced both of their U-18 Girls through Round 3 and into the Quarters. 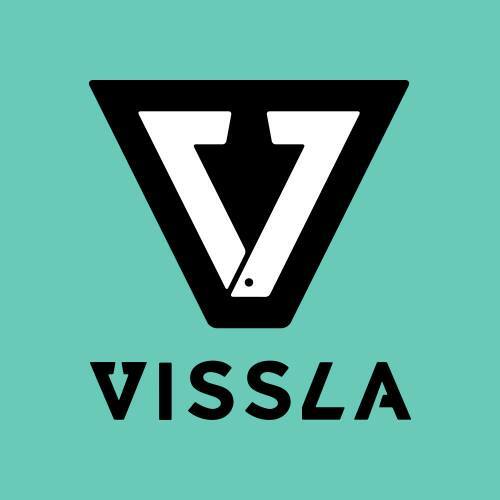 To finish off the day of competition on Friday, the athletes from the top eight countries of the 2015 VISSLA ISA World Junior Surfing Championship in Oceanside, California competed in the Semifinals of the ISA Aloha Cup. The eight competing teams were Australia, Japan, Costa Rica, France, Hawaii, Portugal, South Africa and USA. In the first Semifinal, Team Costa Rica (41.18) emerged victorious, advancing to the Final along with Team Japan (40.34). Team USA (35.30) and Australia (30.10) placed third and fourth, resulting in their elimination from the ISA Aloha Cup. In the proceeding Semifinal, Team Hawaii (39.10) and Team France (34.78) advanced ahead of South Africa (31.51) and Portugal (22.10), setting the stage for a Final against Costa Rica and Japan on Saturday. “The stage is set for the Final two days of competition. 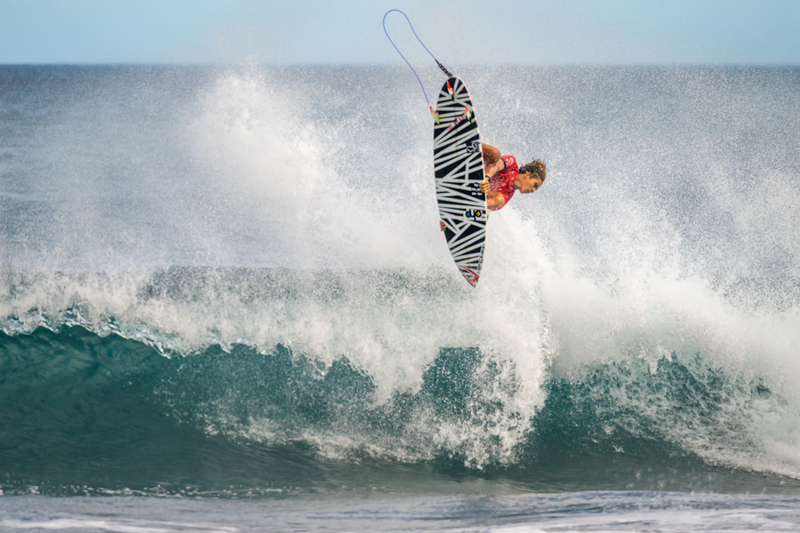 On Sunday we will crown the individual and Team Junior World Champions, the first in the era of Olympic Surfing. 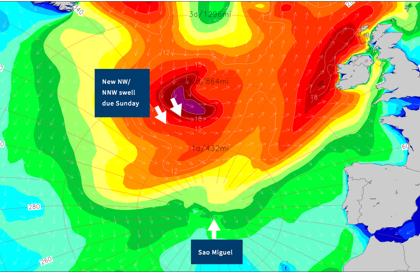 Surfline, the official forecaster, is calling for remnants of the current NW swell to continue on Saturday, with a new Northwest swell arriving in the afternoon and fully filling in for the Finals on Sunday.